Follow these six kitchen cleaning tips regarding daily care of your kitchen and you will be able to keep on top of the never-ending, it seems, amount of dirty dishes and crumbs underfoot. 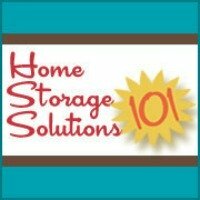 Why Should I Clean My Kitchen Daily? First, the kitchen is generally the heart of the home, and the place where people congregate. Since it is a high traffic area it will get dirty more quickly. Second, the kitchen is also the place where really messy stuff happens daily, such as cooking and eating. Since spills and crumbs are easier to clean up when fresh it actually saves you time to clean the kitchen daily, rather than trying to fight with dried on gunk later. Cleaning up spills as they happen is actually one of the best kitchen cleaning tips there is! Third, the kitchen, as a food preparation area, needs to be kept clean from a health perspective. Germs, microbes, and other nasties love the kitchen and without proper cleaning food-borne illnesses and other unpleasant things can effect your family. Fourth, and finally, you should clean your kitchen daily so that you can actually enjoy it. I know I am much more likely to want to go out to eat when my kitchen is a mess, because I would have to clean up before I could even start cooking. Similarly, if you and your family are going to be in there a lot anyway, it might as well be clean so you can relax and are not afraid you will put your elbow in some type of spill or get crumbs stuck to the bottom of your feet. Start with a sink full of hot soapy water, and then use the time while you are waiting while cooking, like when simmering or baking, to clean up what you can. 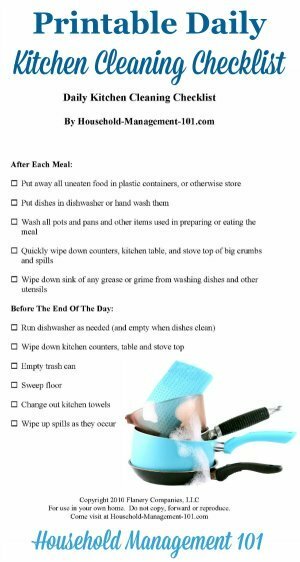 It is amazing how doing this simple kitchen cleaning tip can cut down on the clean up after the meal. You should also let the additional pots and pans you could not clean up before dinner soak while you are enjoying your meal so they are even easier to clean up afterwards. Basically this kitchen cleaning tip is to make sure that after every meal you do a mini-cleanup of the kitchen to get it ready for the next time you will need to make food in it again. I generally just use the sprayer to rinse it off and run the garbage disposal briefly. Some people like to dry their sink out with a cloth, but I think that is more a matter of personal preference. Nothing causes a back up of dirty dishes piling up in your sink faster than a dishwasher full of clean dishes that still need to be put away. Of all the trash in the house the kitchen trash is most likely to attract bugs or other pests, and also the most likely to create unpleasant odors. Therefore, as part of your daily routine make it a habit to take out the kitchen trash. The more small children you have (or older messy eaters) the more important this task becomes. It is amazing to me how messy my children are sometimes, especially when they are young, and how much stuff I can sweep off the floor every single day. Again, this is a great task to assign to children. We gave my middle son a dust pan and little hand-held broom and he sweeps up pretty well (he started when he was about three). With all this advice to wipe up spills as they happen, and clean your kitchen throughout the day as you eat various meals, you can go through a lot of kitchen towels. At a minimum change your kitchen towels daily, but I do it more frequently because they get wet and soggy, and I like to use a clean cloth for each spill I wipe up, and a new one to dry dishes, and a new one to wipe faces and/or hands, etc. 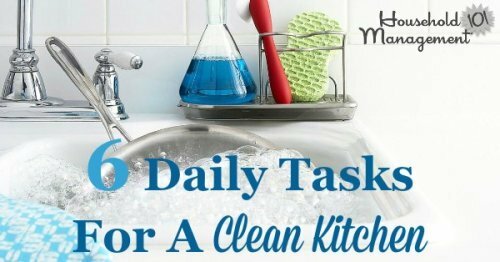 I hope using these kitchen cleaning tips will help you and your family enjoy and use your kitchen more. A bonus is that if you follow these kitchen cleaning tips daily then it becomes quicker and quicker to actually keep your kitchen clean! 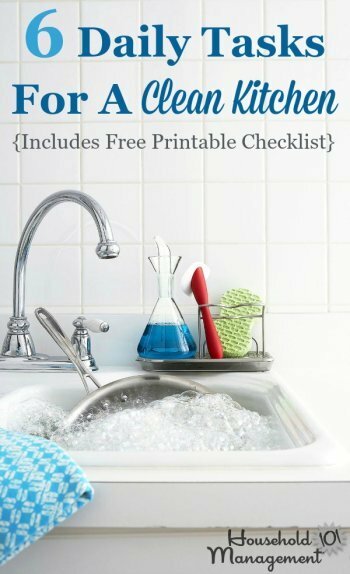 Get your free version of the cleaning checklist here. Make sure you put it in your household notebook!